One of my long ago favorite Bill Cosby routines was one about the word “Oops” and times you would really hate to hear it. From your surgeon. Or your dentist. Or perhaps your plumber. 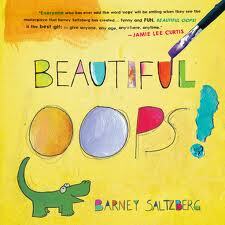 But funny as that is, I have a new favorite reference for “Oops,” the book Beautiful Oops by Barney Saltzberg. Beautiful Oops celebrates the adventures that begin with mistakes—the tears, the spills, the stains. Each “oops” is transformed into something more amazing. Take a look. This is a wonderful book for inspiring art activities, and Google Images is full of Beautiful Oops bulletin boards. But for me, the best thing about the book is the chance it gives us to talk to children about taking risks, making mistakes, and possibly finding something wonderful. So read Beautiful Oops and then try some of these. Start with some “oops” art. Have students make a tear, a blob of paint, or hole in their paper. Then challenge them to create something wonderful. Or perhaps, have them pass their “oops” on to a friend, for some additional challenge and flexibility. Learn about “oops” in science and inventing. You might start with the Top 10 Accidental Inventions. Learn about discoveries that came about by accident. I’m surely glad for the accidental mold that led to the discovery of penicillin. Learn about places that were discovered while looking for something or someplace else. Columbus is an obvious place to start, but what other adventurers have found things they were not seeking? Consider “on the way” discoveries. NASA’s mission is to explore space. But on the way, many inventions and discovery serve other purposes. Who knew that invisible braces are made of materials first develop to protect the antennae of heat-seeking missile trackers. Explore the Top 10 NASA Inventions You Might Use Every Day. As we help students learn that every “oops” is not to be feared, they develop the ability to take creative risks. So experiment with Oops and have an adventure. Share what you do and the adventure is even better. 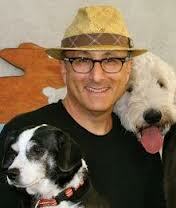 Thanks, Barney Saltzberg!